These delightful miniature glass cubes have a shimmering metallic exterior which gives them an extra sheen of sophistication. In warm pastel shades, this range gives a new twist to Carrie’s ever-popular rainbow series and is sure to follow suit as an enduring favourite. 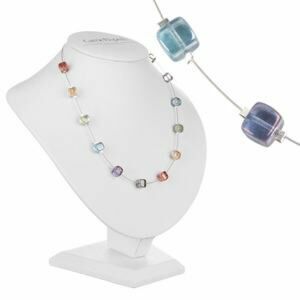 Available as a classic ‘spaced’ necklace, half or fully beaded, you are spoiled for choice with design options using this delectable glossy cube. 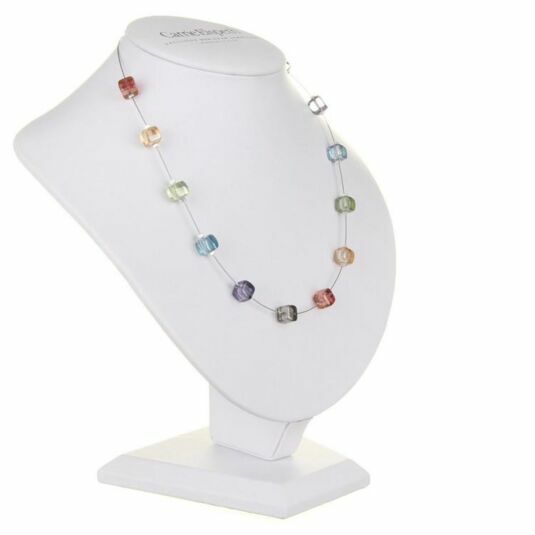 A beautiful piece of jewellery in its own right, this colourful but understated necklace is also designed to work with the matching bracelet and earrings to bring the whole set together. Carrie Elspeth bracelets measure approx 7" (19cm) around, and fasten with a silver-plated spring clasp.